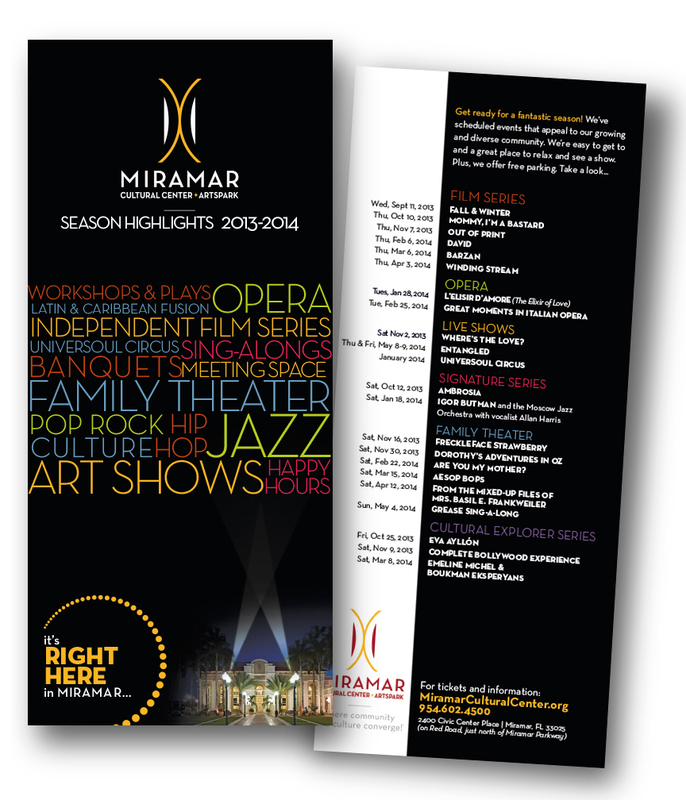 At the request of the Miramar Cultural Center and ArtsPark, Matrix2 developed an advertising, marketing and branding campaign with media planning and support for the then 900-plus seat cultural arts center. 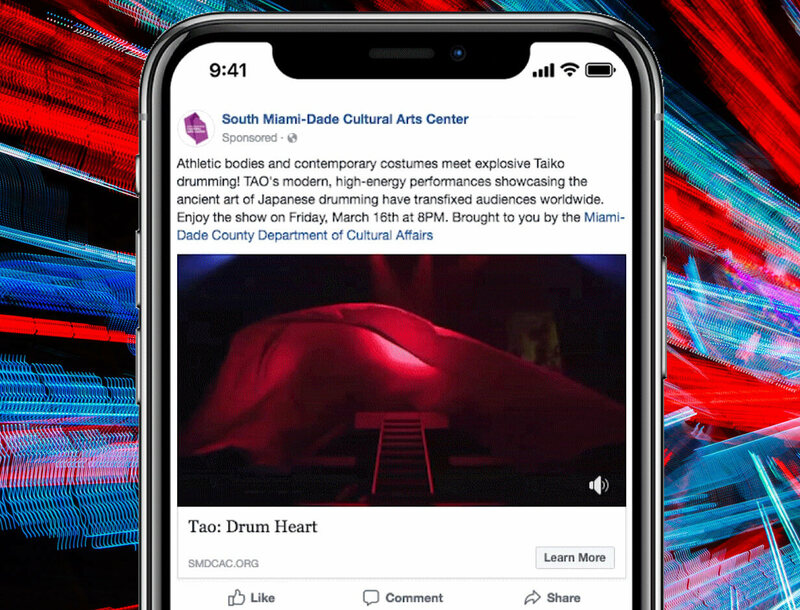 Within this same building, they also provide rental spaces for conventions, weddings, gatherings, and other special events, as well as the Ansin Family Center Arts Gallery. This is the first time the City employed an advertising agency to provide such a service. 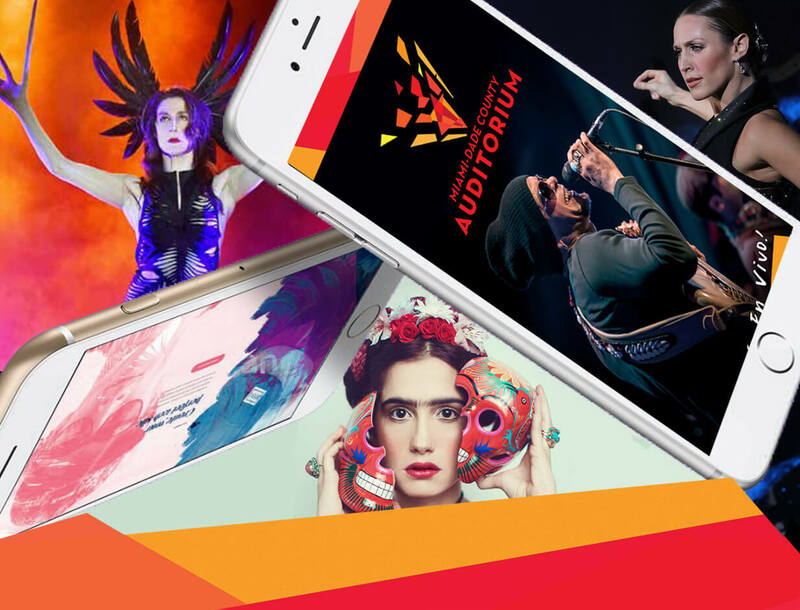 The positioning statement presented for the ArtsPark was “It’s Right Here In Miramar,” a statement that positioned the ArtsPark as the “go to” venue and destination for all things culturally diverse, entertaining, and live. 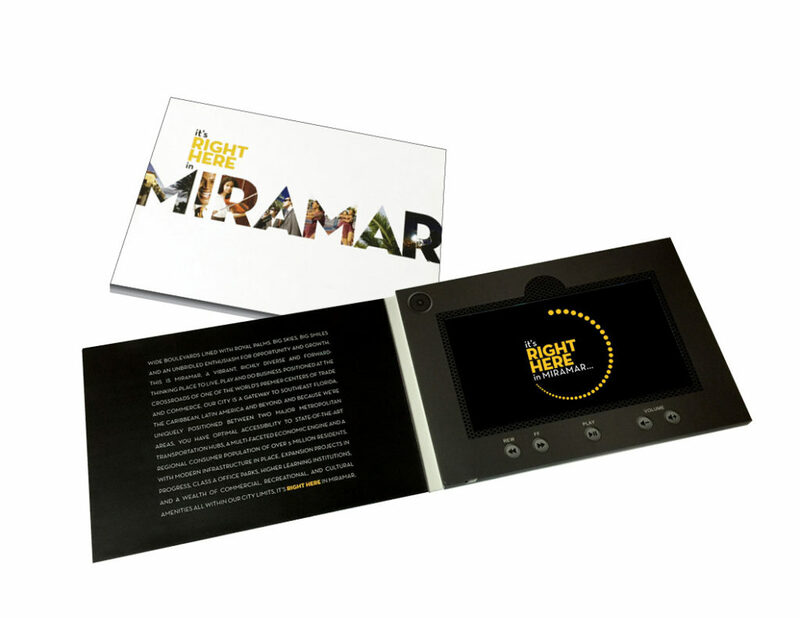 The statement was presented as a logo or marking for the ArtsPark, which incorporated design elements of lights or lightbulbs encircling “It’s Right Here in Miramar,” to represent the klieg lights one would see during the opening night of a performance. 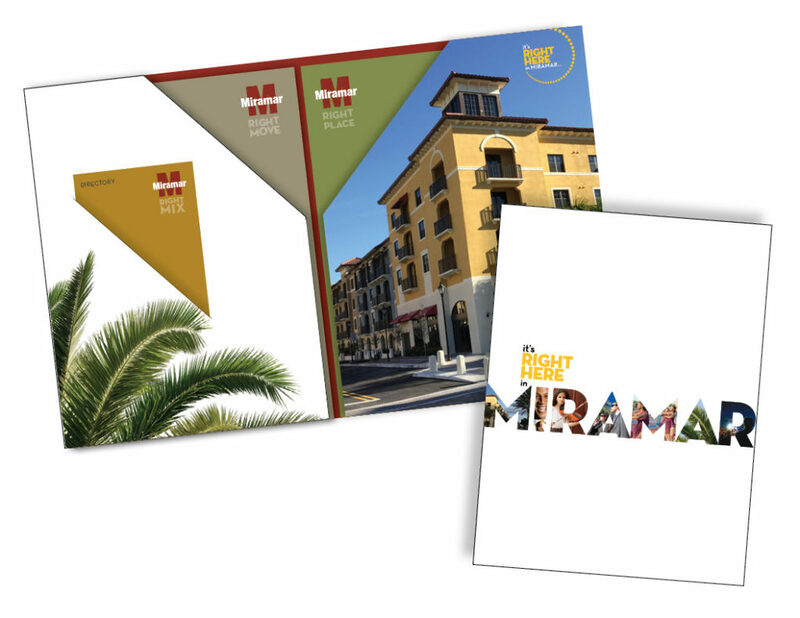 The logo and positioning line were so well-received that the City of Miramar chose to use the brand to represent the City in its entirety, with each city department utilizing the logo in all of the city’s and individual department’s brand messages. 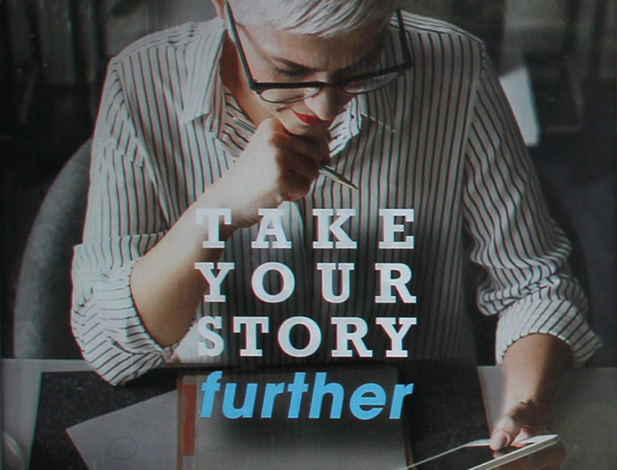 Not only has the city embraced this positioning statement within its internal departments, but it is also used in external communications to residents, the general public, and constituents in both the consumer and professional industries for local, regional, state, national and international reach across all print, digital, electronic, and social media platforms.